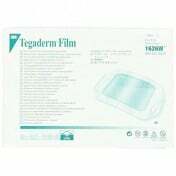 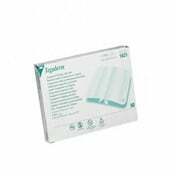 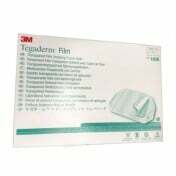 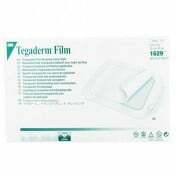 Tegaderm 1627 Transparent Dressing is a large rectangle frame style dressing. 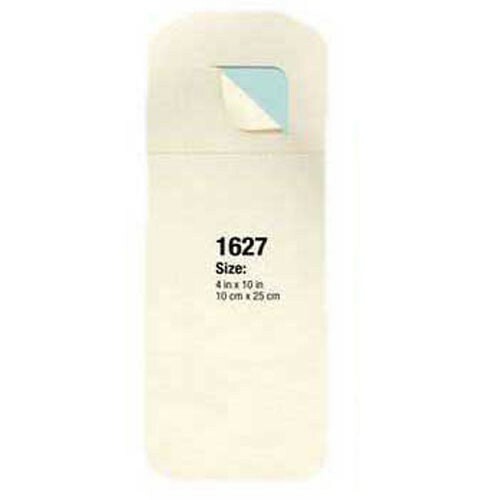 The 1627 dressing offers a waterproof barrier to keep the site free of external contaminants. 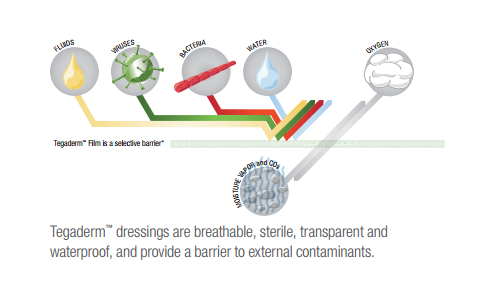 Offering a sterile barrier, this dressing blocks liquids, bacteria, and viruses while allowing moisture vapor to escape. 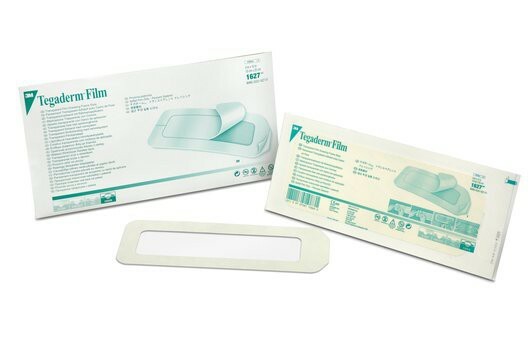 The adhesive border is gentle to the skin, flexible and adaptive to the shapes and curves of the body. 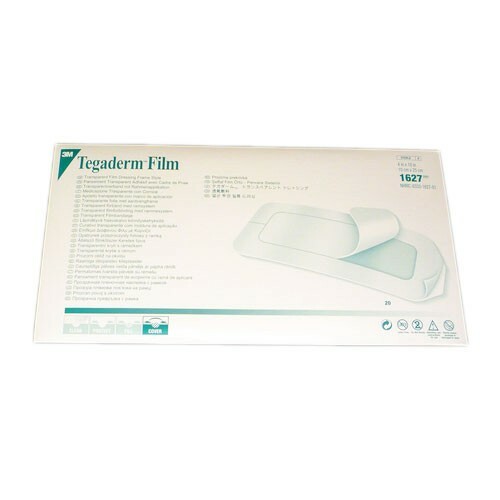 Designed with a transparent backing, the dressing is easy to place and offers greater accuracy. 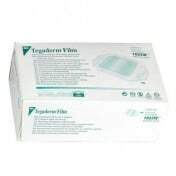 Observation of the wound or catheter site is easy, allowing less frequent dressing changes. 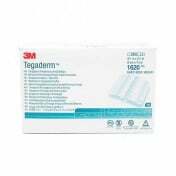 Tegaderm dressings provide a viral barrier that block viruses as small as 27 nm in diameter. 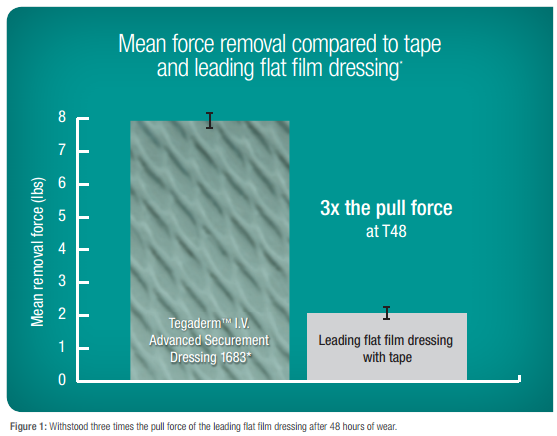 3M manufactures several size options for the Frame Style Dressings, including the 1624W Square Frame Dressing, 1630 Octagon Frame Dressing, and the 1626 Rectangle Dressing. 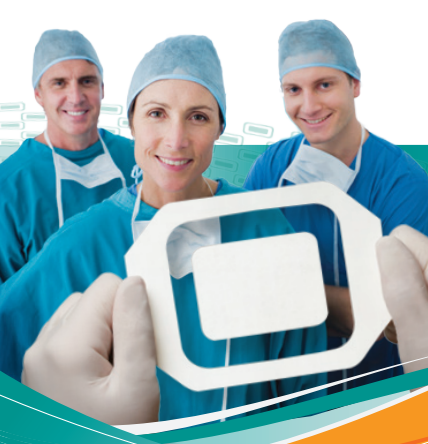 Picture-frame delivery provides easy application. 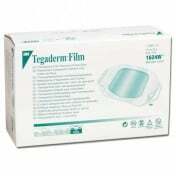 Sterile barrier to external contaminants. 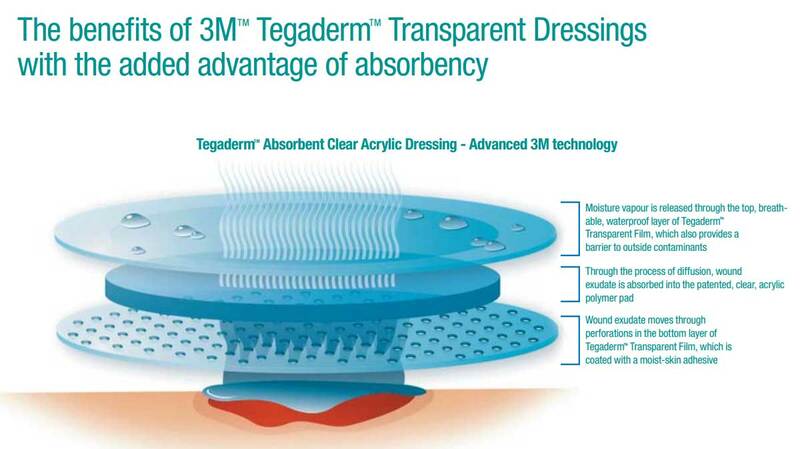 Flexible dressing accommodates body curves. 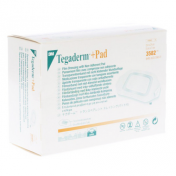 Holds catheters and other devices in place. 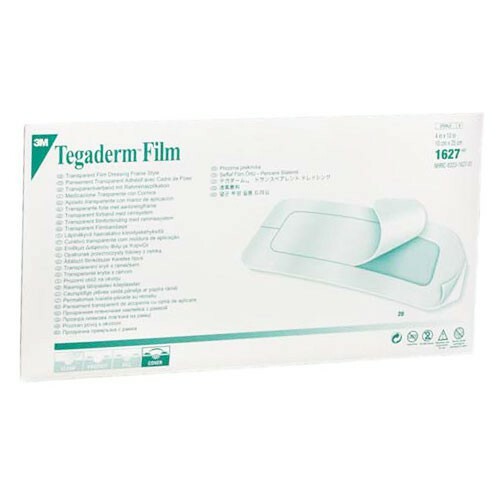 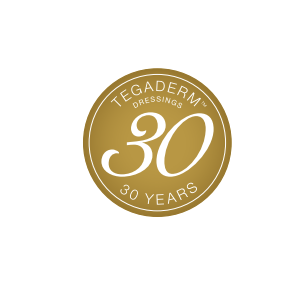 Tegaderm Product Information Guide discusses the features of these IV transparent film dressings. 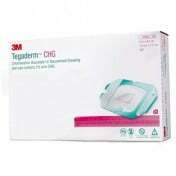 HCPCS Coding information for 3M dressings. 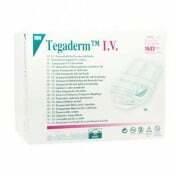 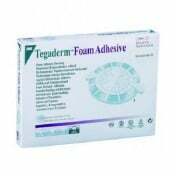 Tegaderm IV Q&A provides answers to commonly asked questions.